Safe and easy moss, lichen, algae and mould removal. Simply spray it on and leave it to do it’s thing. Residuals can be brushed off after a week or simply let the elements do that work for you. 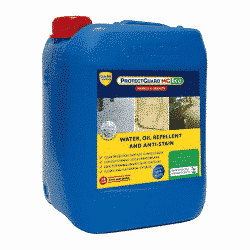 Ideal for roofs, walls, fences and pavement affected by winter moss and algae growth. 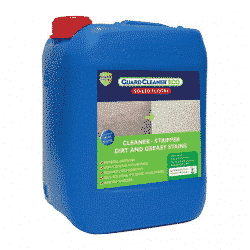 Remove mould moss, lichen and algae safely and effectively with this plant based cleaner! Simply spray it on and leave it to do it’s thing. Brush off any residuals after a week or simply leave it a bit longer and let the elements do the work for you. 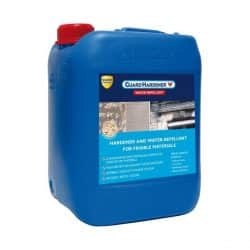 Ideal for roofs, walls, fences and pavement affected by winter moss, algae growth and mould. For healthy, clean outdoor areas you should remove mould, moss, algae, lichens and other biological growths at least once per year. Winter time is when these unwanted guests are most active. So a spring clean is usually the best time for a once off treatment to have maximum impact. 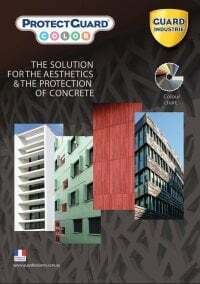 D’Moss Guard® Eco penetrates deeply into materials to eliminate all parasitic vegetation. Residuals are then washed away by the rain or simply brushed oﬀ. D’Moss Guard® Eco has a very quick efficiency. Surfaces will be visibly cleaner from 24/48 hours). 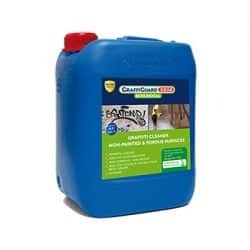 This cleaner is formulated with plant-based ingredients that are not toxic for the environment and that do not contain solvent, quaternary ammonium or chemical additives. D’Moss Guard® Eco uses a safe, plant derived, organic acid as the biocidal active agent. D’Moss Guard® Eco is therefore safer to use than other products on the market. It is 100% biodegradable, non corrosive, non irritant, and non toxic. D’Moss Guard® Eco does not alter the surface of materials (gutters, windows, painted surfaces etc). 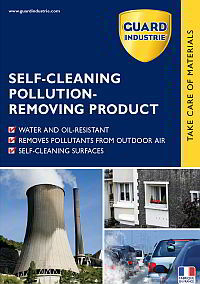 So it’s safe to use in all types of outdoor cleaning applications. All these unwanted guests need moisture to grow. 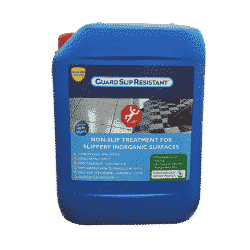 So, keeping moisture out of porous surfaces is the best way to minimise regrowth. 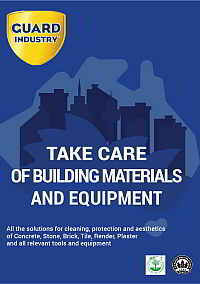 For best results apply a suitable sealer once surfaces are clean. Quick action and efficiency identical to that of other moss removers on the market. No quaternary ammonium, acid and chloride-free. If the moss is very thick, brush before application. D’Moss Guard® Eco is ready to use. 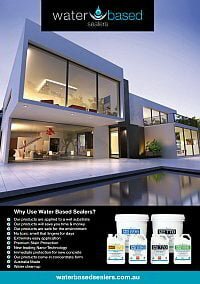 Apply in dry weather to a dry or slightly damp substrate, spraying until substrate is saturated. Allow to act for at least 7 days. NB: If applied in cold weather (below 10°C), the de-mossing action will take longer. 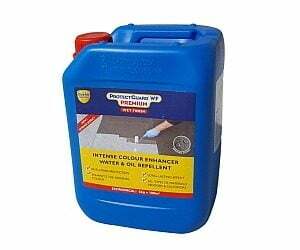 Residues can be brushed oﬀ, rinsed with high pressure washer or left to the elements to remove. If it rains during the 24 hours following treatment, the product may become diluted and may have to be renewed. 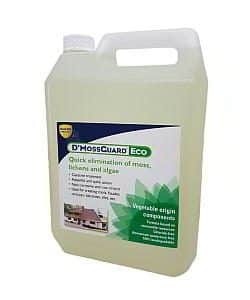 When applied as a preventive treatment before painting, D’Moss Guard® Eco can be diluted to 1 volume of product for 1 volume of water and sprayed onto the substrate prior to painting. Do not paint until substrate has been thoroughly dried. Based on renewable raw materials. Really good for those hard to move mossy areas!